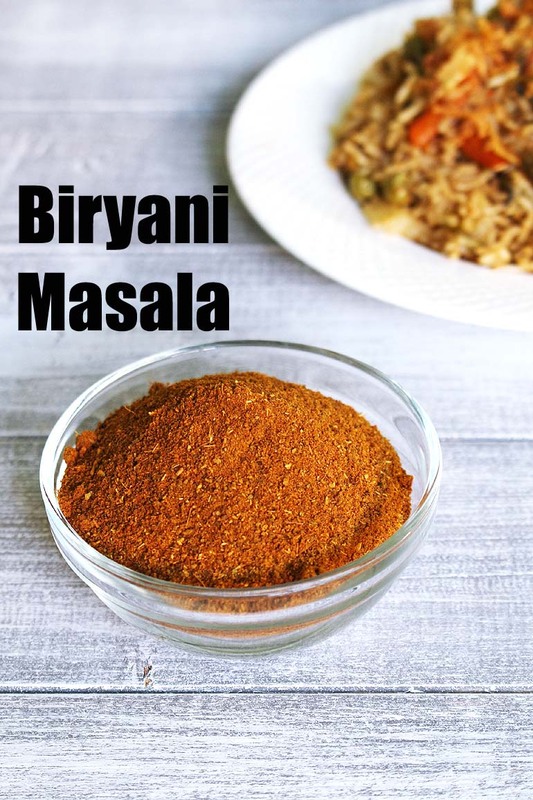 Biryani Masala Powder Recipe – a unique spice blend powder used for making perfect biryani. This can be used in making pulao too. It makes the best tasting biryani and your kitchen will have its beautiful aroma as biryani is cooking. To retain its flavor and aroma, one need to store in airtight container. You can keep in the fridge or in the kitchen shelf (if the weather is not humid). Take required amount with clean, moisture free spoon and immediately close the container and put it back in the fridge. Although you can buy this masala powder from stores. But the homemade biryani masala or any other masala is always the BEST and fresh. Making this biryani masala at home is very easy. Just geather the spices, clean and check if any bad ones or worms in it. Then simply dry roast for couple of minute and grind into powder. The method cannot be simpler than this. 1) Measure and take all the whole spices in a pan for dry roasting. 2) We are dry roasting just to remove moisture from spices if any. So dry roast with stirring constantly on Low heat. You will get nice aroma of the spices. But we are not looking for color change. 3) Let them cool completely and then take into the grinder jar. 4) Grind into fine powder. 5) Add turmeric powder and red chili powder. 6) Again blitz it to mix well. Store this biryani masala powder into airtight container. It stays good for 6-8 months. Always use clean and moisture-free spoon to get required amount of masala. How to use? : for 1 cup of rice, you will need 1 teaspoons of this masala powder. 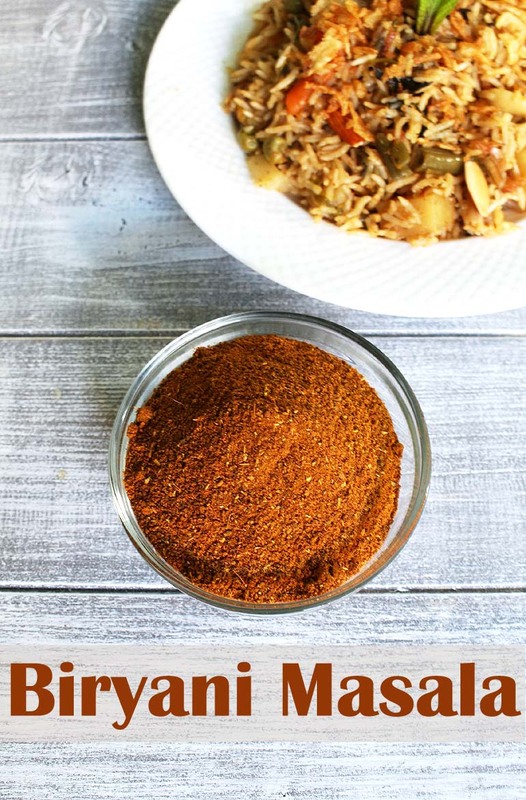 Biryani Masala Powder Recipe - fragrant masala powder for biryani or pulao. Take all the whole spices (except spices powders - red chili and turmeric powder) in a pan. Dry roast them with stirring constantly for 2-3 minutes on LOW heat. We are not looking for any color, just to remove any moisture if there is any. Instead you can sun dry them. Once cooled, grind into fine powder along with red chili powder and turmeric. 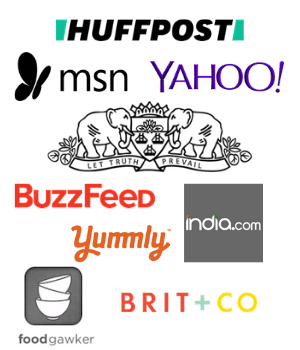 Use in making any biryani or pulao. Hi.. Kanan . Thanks for sharing . Keep it up. I can feel the aroma. looks very catchy.